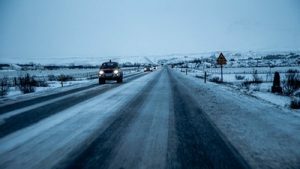 Snow and ice conditions can turn the roads into a dangerous place to drive. This is usually the case with “black ice” which is just ice that still allows you to see through to the pavement below. That is to say, that the ice is practically camouflaged as part of the road. You can see black ice if you pay attention on days with light snow fall. Where the pavement is free of moisture, except in a few small areas, then those are probably black ice patches. This is especially so when it is below freezing outside. Black ice will be created when it is overcast and cold. Where the sun does not shine through, there is less traffic, and areas for shade, you will find more patches of black ice. If you have been injured in a car accident where the driver at fault could not control his car and injured you, please call the Law Offices of Jeffrey S. Glassman for a consultation. We are available 24/7 at (617) 367-2900 to hear your story.